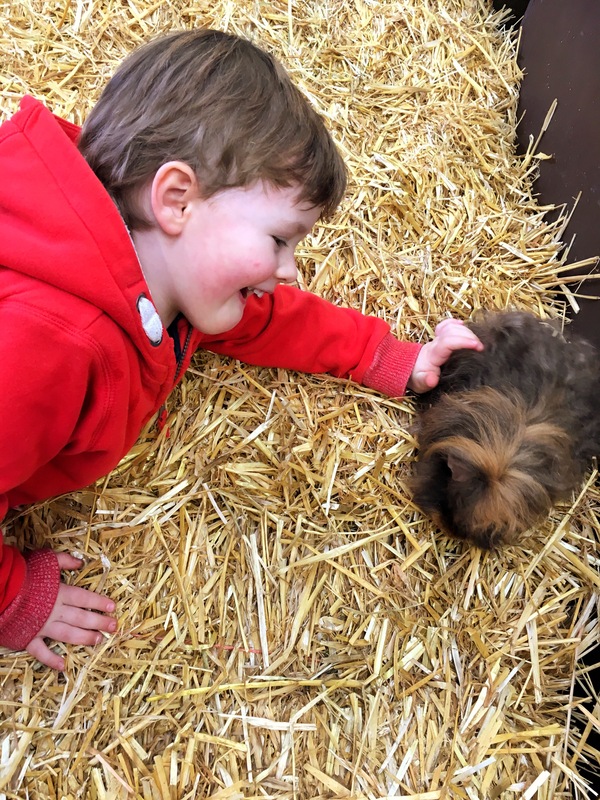 We’ve just returned from a brilliant day out at the Rare Breeds Centre in Woodchurch, Kent (8 miles south-west of Ashford). It’s got a great reputation so I’d always wanted to take Oskar there and today was the day! It took us an hour to get there, but I’ll be honest and say that it was a pretty horrific drive as Oskar was flitting between ‘shouty toddler mode’ and ‘relentless whingey’ mode. It was pretty awful for everyone involved, but we arrived shortly before we all lost our minds. Once unleashed from his car seat and able to charge around, he transformed back into a normal, lovely child, my heart-rate returned to normal, and any thoughts of feeding him to a rare breed vanished. It being already 11.45am by the time we arrived, we headed straight to the Granary Café by the entrance for a cuppa and some cake (Annie’s treat to lift my spirits after the awful car journey!). However, once inside we decided upon a strategic early lunch to beat the 12 o’clock lunch rush and then get out and about in the farm without interruption. Feeding the angry toddler also seemed like a good idea. As always, to keep costs down we’d brought a packed lunch, so we gobbled that down and like every good parent used the chocolate cake to bribe the kids to eat up their sandwiches and healthy bits. 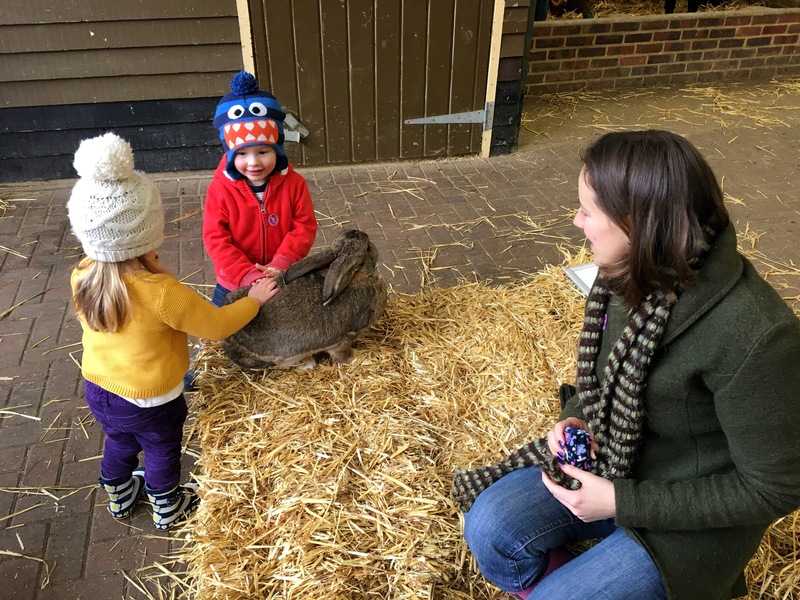 Once re-fuelled and with blood-sugar and sanity levels restored, we headed out for some farm fun. First we headed straight to the Children’s Barn, where all the mini animals hang out waiting for a cuddle. 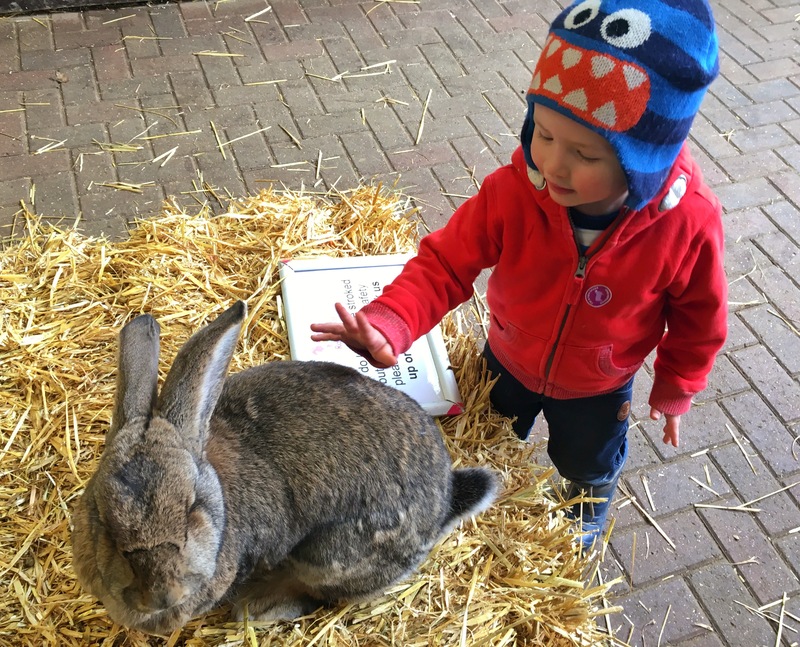 Everyone’s favourite were the giant bunny rabbits, who were so unbelievably soft and SO chilled out! They just sat on top of big straw bales not even trying to escape, and every now and again a farm helper would rotate them with another rabbit from one of the hutches within the barn. They seemed perfectly happy and not at all bothered by being poked and prodded, cuddled and squeezed, grabbed and stroked by an endless stream of mini-humans. 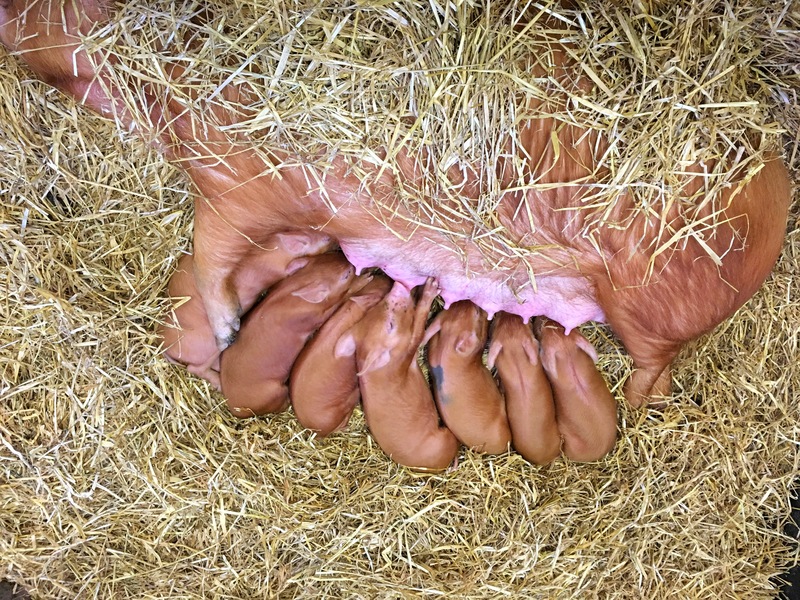 Also in the barn was an incredible sow called ‘Mummy Pig’ and attached to her were her seven (!) suckling piglets. Suddenly my pains from the morning faded into insignificance as I thought about the poor exhausted Mummy Pig who looked like she had just surrendered to the will of these seven energetic youngsters who were scrambling all over her and roughly trying to get their milk. Bless her. All the mums were looking at her sympathetically. 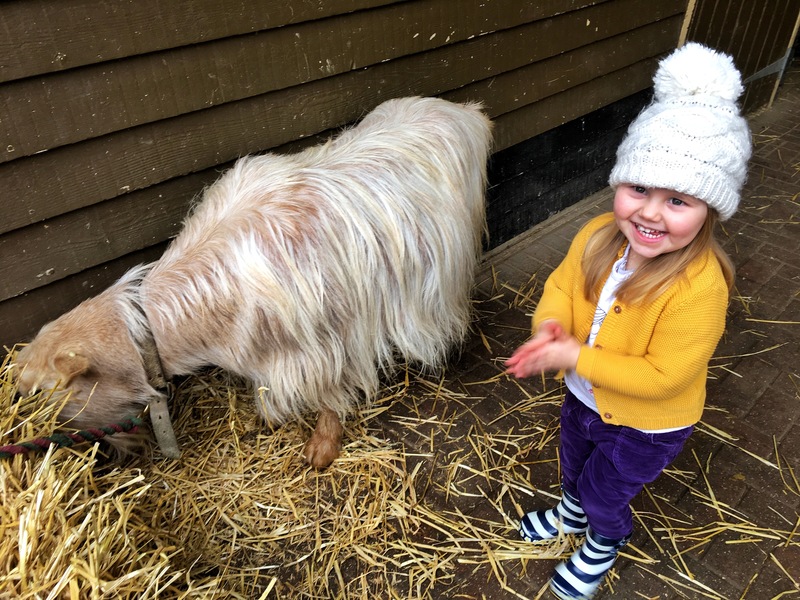 There was also an awesome goat called Georgie who rather liked a stroke and a massive Shire Horse called Toby who it seems had received a Valentines card, which was proudly displayed outside his stable (nice to see a Shire Horse gets one and I don’t… hey Morts). There were also some massive hairy cows with horns (note to self: should have checked the name of the breeds!). 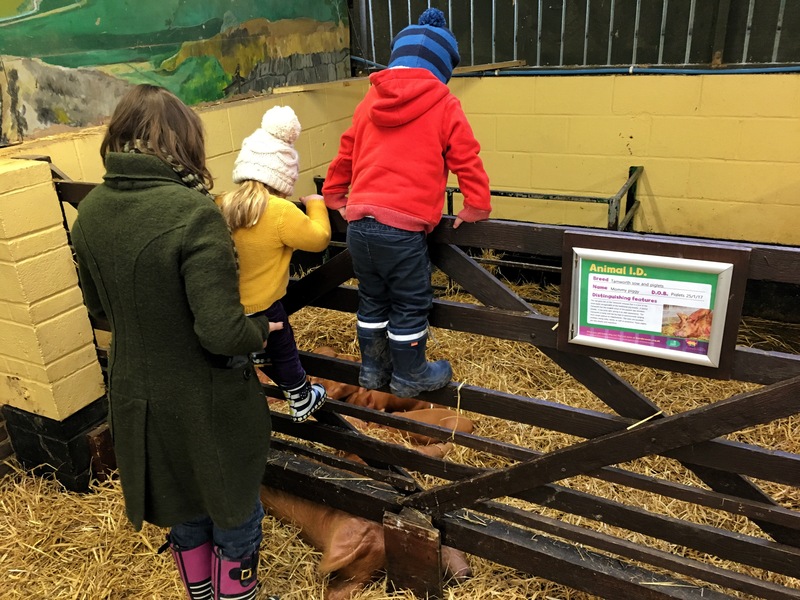 We then wandered outside to all the individual stables and met some more pigs, goats, cows, donkeys, miniature ponies, and lots of rather splendid chickens. The kids loved it, as did we. 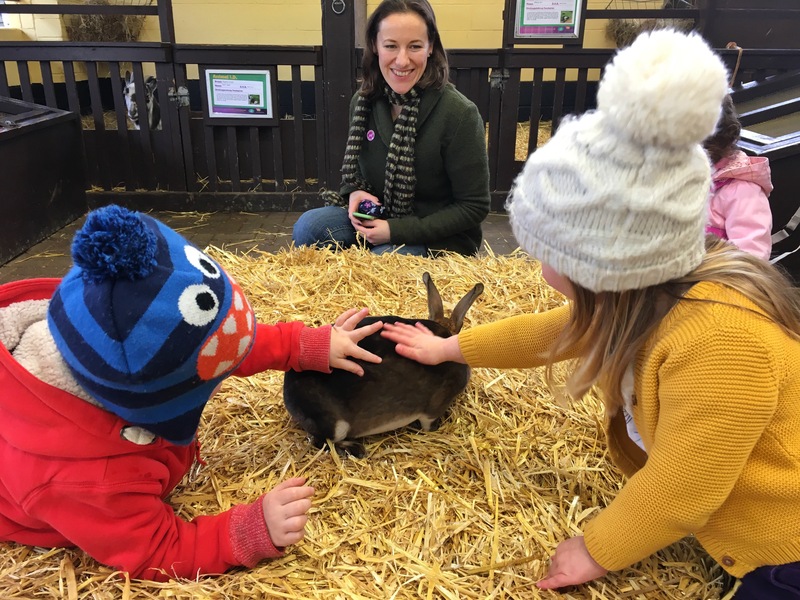 I would say that the Children’s Barn was probably the highlight because of the interaction, but Oskar and Isla also loved seeing the MASSIVE snakes and the awesome Iguana in the Creepy Crawly centre, and the Birds of Prey were also beautiful. Next we queued for the tractor/trailer rides, although this was our one let down of the day; the queues didn’t seem that long, but each ride was about 15-20mins, and we’d just missed the first one when we joined the queue and then didn’t make the next one, at which point we decided to boycott the ride. Obviously Oskar does love a tractor so it was a shame to miss it and it also would have been good to see the entire site, which is far bigger than we managed to visit, but I guess that was the price for coming in half-term. Other than that, it really did not seem crowded at all, and it was hard to imagine that the people from all of those cars were in here somewhere. 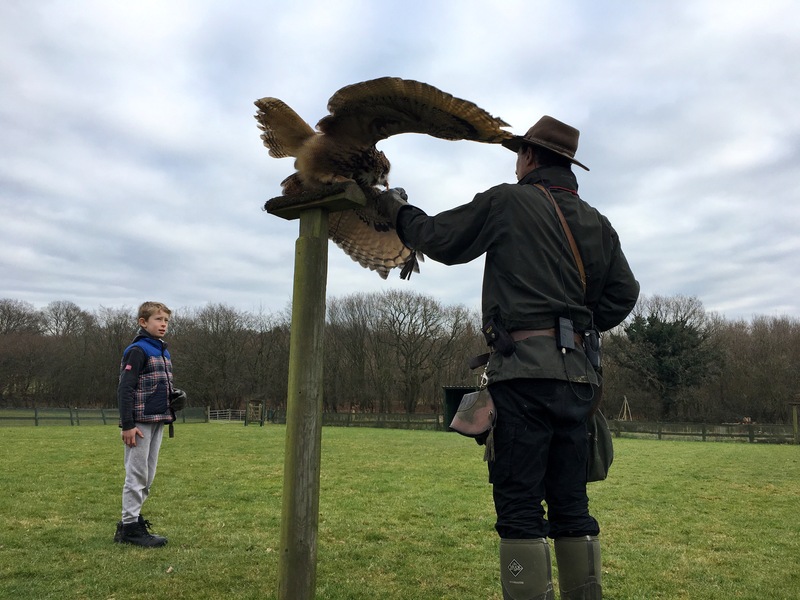 The adventure playgrounds are great and the kids could easily while away the hours there, but we settled for about 45 minutes and then headed over to the ‘Birds of Prey’ show in the central field. The birds did an excellent show and the falconer seemed to enjoy encouraging them to swoop really low over people’s heads for added effect. 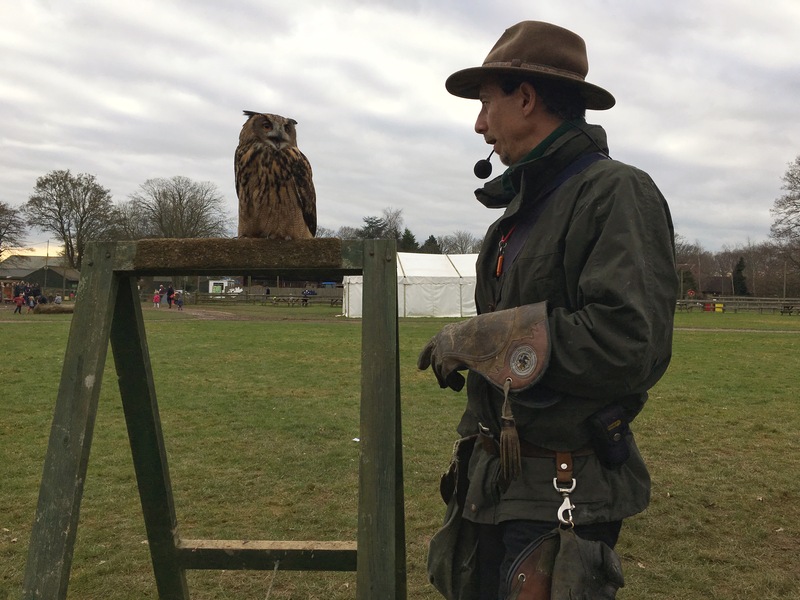 One little boy called Oliver had the day of his life as the falconer chose him as his helper for the duration of his demonstration. Oliver had his own glove and was holding some of the birds and having them fly to his hand, which must have been an incredible experience for him. He looked very proud. Despite having been on the go all day, there were still loads of areas of the farm that we never even got to. In total the farm covers a whopping 100 acres! We didn’t even get to the northern area, where there are woods with brass rubbing trails, an aerial assault course, a tube maze and hill fort. Also, we didn’t let the rascals loose in the soft play, which looked pretty sizeable and is obviously a great option for when you want a bit of indoor time. 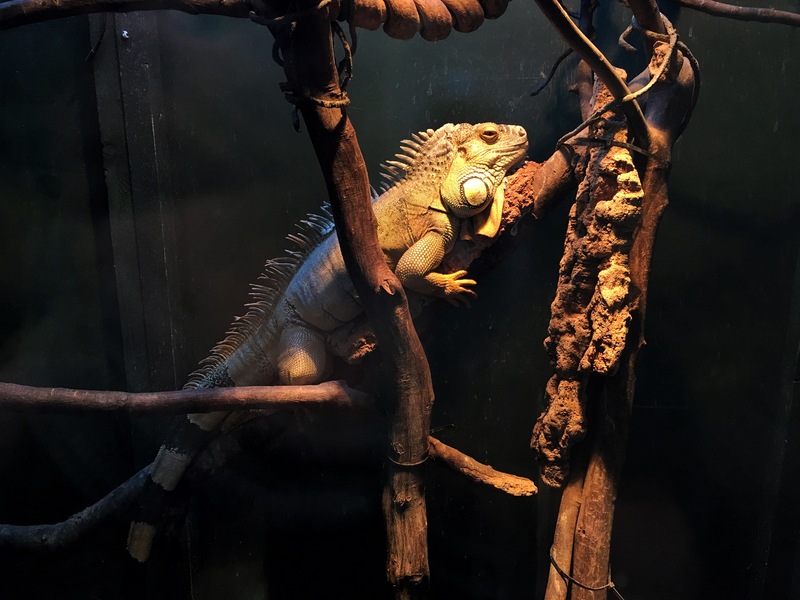 In addition, the butterfly enclosure was shut, as was the aviary (because of bird flu) so these are still on the ‘to do’ list, as are the many gardens, including the discovery garden, wildlife garden and life skills garden, all of which looked like good places to explore. So much more to see! So we left on a high, knowing that we could easily come back again for plenty more fun, and at only £7 entrance fee we also knew we probably would! 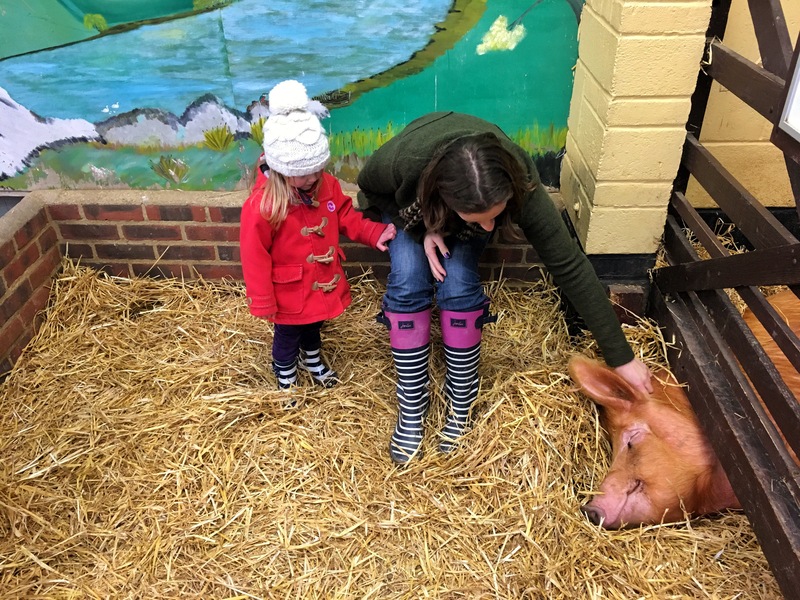 The Rare Breeds Centre really had delivered a great family experience. 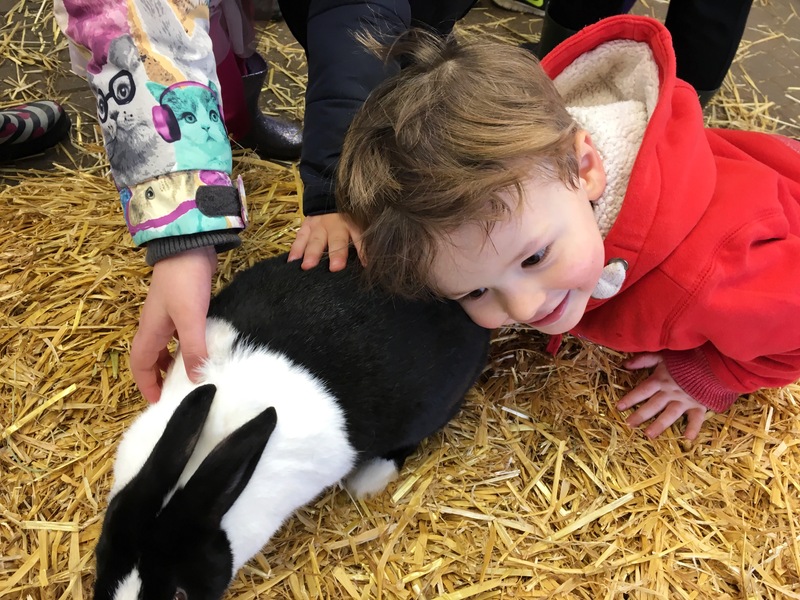 It has not got any ‘bells and whistles’ but it doesn’t need it – just well looked after animals, loads of staff to answer questions, and a great range of activities and facilities to keep kids and adults of all ages entertained. 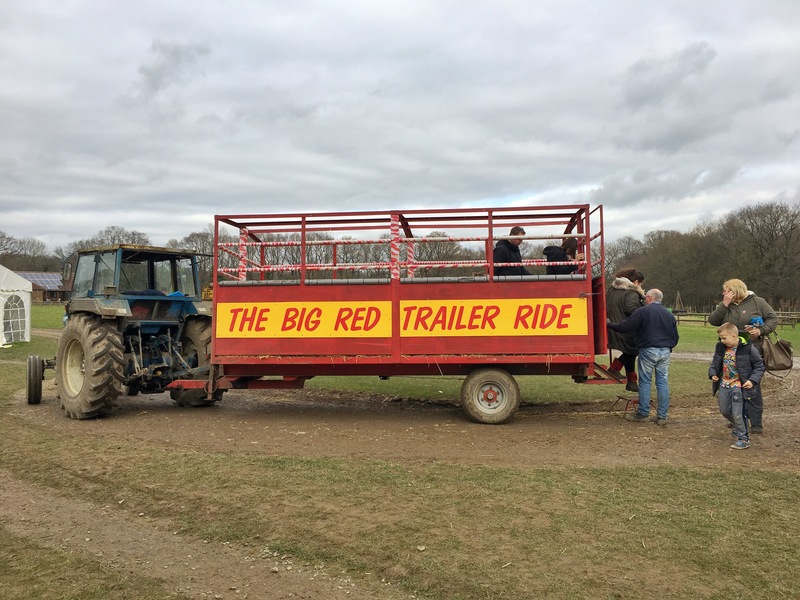 Another really amazing thing about the farm that is definitely worth mentioning is that it is one of the ‘Life Skills Projects’ owned and run by Canterbury Oast Trust. The Trust offers opportunities for people with learning disabilities to gain skills in horticulture and animal welfare and it was clear that a lot of people working at the farm were part of this project. They were all brilliant at their jobs, interacted beautifully with the kids and they clearly absolutely loved what they were doing. It was a really heart-warming experience and I have no doubt it makes an enormous difference to their lives. I would come again even if only to support this excellent charity. On that note – make sure that you when you do come and visit that you ‘gift aid’ your entrance ticket (so that it costs £7 rather than £6.36) so that you can contribute to the charity and they also receive a top-up from the Government. 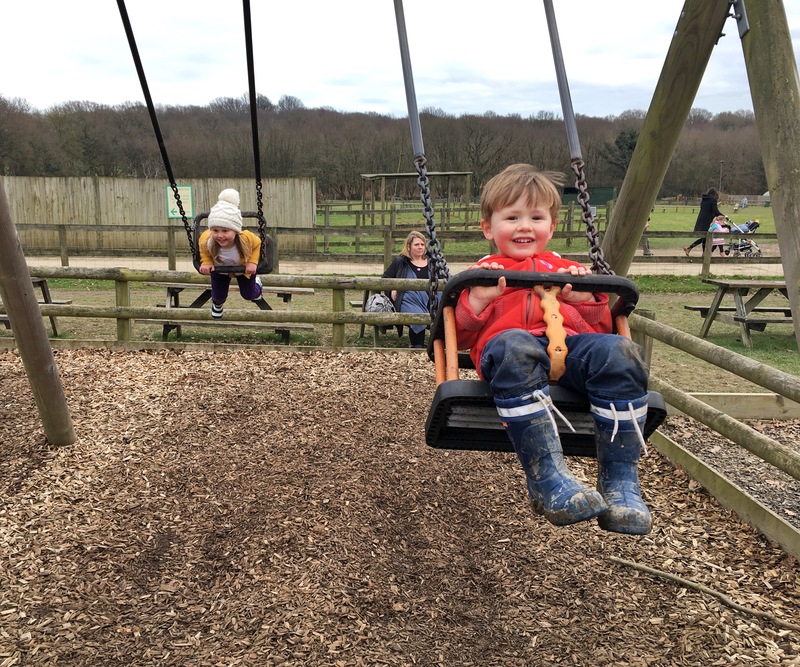 So – a big thank you to all at the Rare Breeds Centre for a great day out and see you again soon when we’re back in this neck of the woods! Kent – thanks for being part of our X County Challenge! 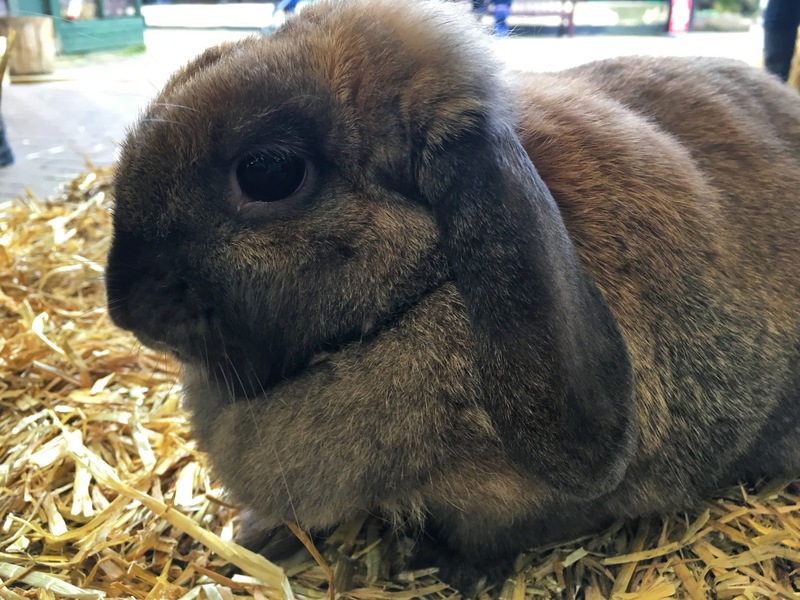 Please note – the Rare Breeds Centre is NOT open on Mondays! But opening hours from Tuesday to Sunday are from 10.30am until 4.30pm.